John and Jeffery Mitchell both had worked for their father's capital equipment design and manufacturing firm in Milwaukee, WI. When the company was sold, John and Jeffery decided to start a company together, so in September of 2005 they established LaX Fabricating, LTD.
LaX began operations in a leased building on the pike between La Crosse, WI and La Crescent, MN. The first two months of operations, nine of LaX's employees were sub-contracted to build industrial washers. Since that time, LaX has build washers and industrial ovens that have been shipped to locations around the world including Vietnam, Saudi-Arabia, Guatemala, Mexico, and France, as well as across the United States. 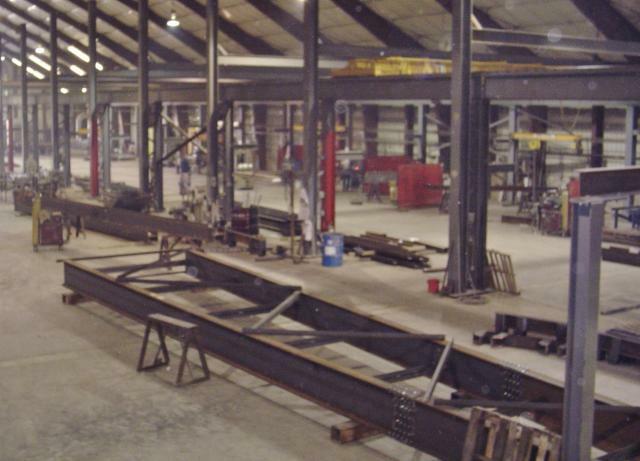 LaX Fabricating quickly outgrew the LaCrescent facility and in November of 2007 signed a 99 year lease for a 120,000 square foot facility in Spring Grove, MN. Currently LaX averages between 4,000 and 5,000 production hours per month. One of our recent projects was an industrial washer that shipped to Texas. The washer which measured 20ft wide, 160 feet long and 14 feet tall, and has the cabability to 3,000 aluminum cans per minute. LaX Fabricating has a sales staff, on site detailing and a team of skilled fabricators. Our customers vary from large corporations and municipalities to local businesses and farmers. We pride ourselves in providing you with a quality product built to meet or exceed your specifications. The firm's manufacturing facility is in Spring Grove, MN, , while the industrial equipment sales and design division - sister company - LaX Engineered Solutions is in Waukesha, WI.